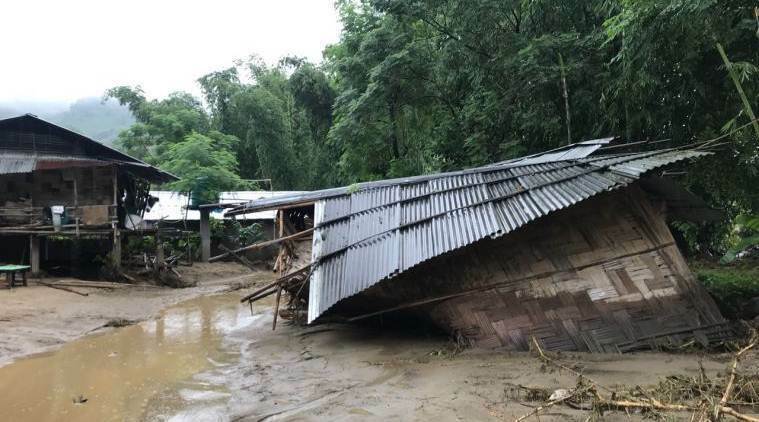 Several districts along the Siang River in Arunachal Pradesh have been put on high alert keeping in mind the possibility of flash floods after China informed India about a landslide blocking a river in Tibet leading to the formation of an artificial lake, officials said on Friday. China has activated the ‘Emergency Information Sharing Mechanism’ with India following the landslide on Wednesday morning near Jiala Village in Milin County in the lower ranges of Yaluzangbu river in Tibet, the country’s Embassy spokesperson Counselor Ji Rong was quoted saying by PTI. Responding to media queries about the landslide, Ministry of External affair Spokesperson Raveesh Kumar said all relevant authorities of the central government and state governments concerned have been apprised about the emerging situation to enable them to take necessary precautionary measures. “They (China) first informed us on Wednesday about the landslide and creation of an artificial lake. Water is over-topping (breaching). It will reach Arunachal Pradesh and cross the high flood level by Friday night,” the Water Resource Ministry official said. The water will cross “high flood mark” and the situation is being monitored at the highest level and the data is being shared on an hourly basis, the official added. The Hydrological Bureau of Tibet Autonomous Region has begun to share with the Indian side hydrological information every hour, such as the water level and flow rate at the Nuxia hydrological station and the temporary hydrological station downstream of the barrier lake, Ji Rong said. “The Chinese side will closely monitor the situation of the barrier lake, and continue to notify the Indian side the follow-up developments through bilaterally agreed channels timely”, he added. Yaluzangbu river is called Siang when it enters Arunachal Pradesh and the Brahmaputra in Assam from Tibet.